As a creatively inclined person you already know that the possibilities of designing an invitation card is virtually endless from invitations embellished with peacock feathers to the intricate bejeweled ones with pricey stones and shiny sequences- the card should perfectly mirror the event for which it is used. Though a recently developed trend instigates people to send invitations online, the magical spell of invitation cards is quite unblemished. 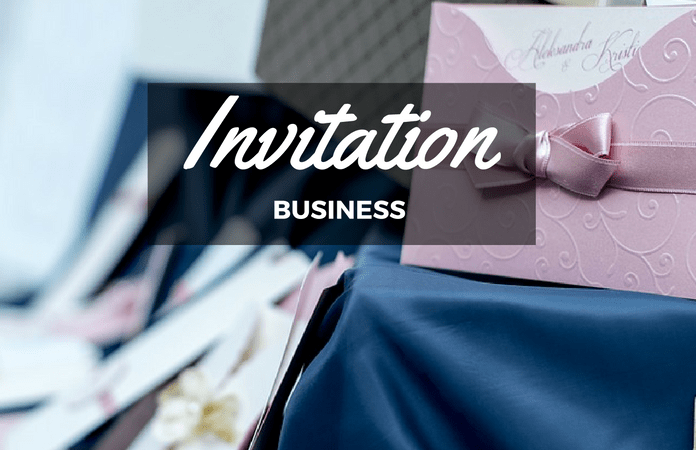 So considering these two strong factors of your matchless creativity and a strong market, how if you start an invitation card business in India? Wedding itself is an occasion in the country and therefore it creates a good market for various wedding essentials, and wedding invitation cards are the first thing that gear up the whole ceremony. After all it is the first thing that announces the news of the wedding and also silently announces the tone of the whole occasion. Also the market for personalized invitation cards is looming large and this is the perfect time to invest your finance and efforts for having your own business of invitation card printing. So, you would hardly get anything as ideal as establishing your invitation card business to utilize your creativity as well as secure a living for your family. When you are looking to determine your niche in invitation card business, you can follow the strategy of blue ocean and red ocean which helps in dividing the prospective market on the basis of competition and entry barriers. The first option, blue ocean market refers to that area where there is not enough competition and supply that can meet up with the customers’ demands. You can either look for such products or create it on your own by bringing into life new ideas and products. It would create a new demand for the newly developed good and in this case, you cannot expect your users to buy the goods immediately. You will have to consistently monitor your innovation for monitoring the activity of the prospective customers and incorporate necessary alterations to make the product appealing to them. You will have to be very patient and take speedy actions as per your observations. A feasible alternative to run your business in blue ocean is trying the environment of red ocean. Here you will have to compete in an already-developed market. So, be prepared to experience a consistent struggle for existence as there are demands as well as supplies. Here, your focus should be utilized to compete with the rivalry and customer satisfaction instead of finding out an innovation like that of blue ocean strategy. Once you have identified a niche within which you will operate, your next step is to build your business to offer something pragmatic, unique and affordable. 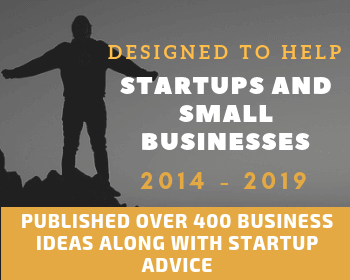 This is the time when you should be etching out a business plan that would encompass an overview as well as description of the business, research information of your market and the competition you are liable to face, your budget, required equipment, marketing and advertising plans and whether you will set up a store or operate online. 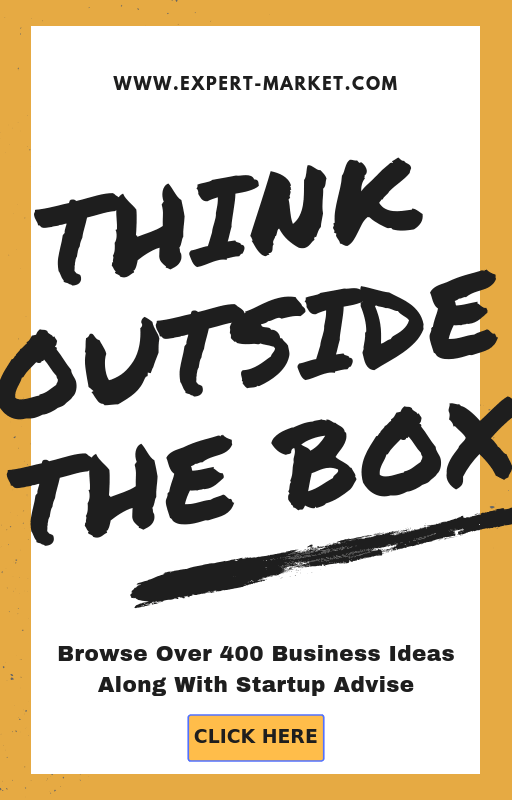 This business plan will help you to emphasize on your ideas and considerations and offer a clear insight as you proceed through the steps. Now you will have to name your business and choose a name that’s distinctive and noteworthy. You will have to apply with the Secretary of your State for forming the business entity whether it is sole proprietorship or a partnership venture or a corporation. In order to identify the business for taxing purpose and work with vendors, you will have to apply for an Employer Identification Number. Last but not the least, you would need to apply for a resale certificate through the Department of Revenue in respective states or collection and submitting the sales tax. Your next step would be to make an application for business license on the basis of the local and state regulations. This is one of the most important considerations for invitation printing business and must be determined by taking into account various aspects. For invitation card printing business you will need to rent or purchase two areas, one would function as your factory where you will have to work along with your employees to create amazingly beautiful invitation cards that would melt the heart of your consumers. And the other one would function as a full-fledged established where customers can come, choose and purchase your stunning creations. Even if you are able to bear such a huge upfront cost, you can opt to rent the space initially or apply for loans from banks or other financial institutions. The location of your store is a crucial factor here. If you are willing to steer in the blue ocean strategy, it is viable to look for stores in areas that lacks an invitation card store and if you are a believer of red ocean strategy, then you will have to do your research to find an already established market for invitation card printing, its nuances, competitive pricing and target consumers. On the other hand, you may also choose to design and supply invitation cards to reputable brands and once you have procured a strong hold and understanding of the market, you can proceed to bring forth your own brand and establish a retail store. Regardless of whether you are willing to operate as a supplier or an independent entity, you will require highly trained and skilled employees who are equally endowed with creative genius. They should be able to participate in formulating innovative ideas, using unconventional methods and applying fresh techniques. You should choose your team in such a way so that they deem to be your most significant resource and everyone should be an artist within themselves. You will also need some equipment and materials with which your team is going to work and these items should be chosen on the basis of the niche within which you work. Presumably the most important thing you will need to run a card printing business is the printer. On a preliminary level, printers are divided into three categories laser, inkjet, screen printer and offset printer. A laser printer would be an ideal choice for business cards printing whereas a printing extra wide signs would require label inkjet printer and in case you are looking to create bulk prints of high-quality cards, an offset press would lower down your costs. Next comes the design software such as Photoshop, Adobe Illustrator, CorelDRAW, InDesign among others and a computer for drawing and designing graphics. You will also need specialized cutting equipment and an accounting software that will keep track of everything right from your employees to inventory. Once everything has fall in their places, your next target would be to advertise your business in order to reach out to as many people as possible. So you can get a customized banner printed and get it installed in the locality as well as other adjacent areas. This is one of the cheapest mode of advertising and you should try it out besides seeking aid of the print media, television commercials and distributing leaflets to all passer-by so that they turn into being your customer. You may advertise in the leading wedding magazines and send emails to wedding planners and stationary stores in order to get some referrals. Then you can also share your posts on the social media through the favoured portals such as Facebook, Twitter, LinkedIn, Whatsapp and most importantly, Instagram, an online hub that allows you to post mind-blowing photographs of your designed invitation cards that the netizens are bound to follow. They will soon develop a strong affinity towards your creations and if you have an authorized web page, they would definitely check it out and if you can offer invitation cards online then your people would make a move to try your services and products and you will slowly develop a strong consumer base. Producing designer invitation cards for the wedding parties can help you break into the potential wedding industry in the country. Though you may choose to design and print all kinds of invitation cards from birthdays to baby showers, from anniversary parties to funeral gatherings, you should always keep your gaze fixed at the wedding invitation print market. Presently, the wedding industry of India has crossed Rs 100,000 crores and it is developing at an annual rate of 25 to 30 percent and not to mention, a whopping number of about 1,00,00,000 weddings take place every single year and the wedding invitation card market itself is worth Rs 10,000 crore and an average Indian can spend up to Rs 500 to Rs 1500 per card. In India, a commoner spends about 1/5 of his or her total accumulated wealth of the entire lifetime, which suggest that you could make use of this tremendous opportunity to capitalize on. Other than wedding industry, there are loads of events and occasions taking place all across the country- from Ganesh Chaturthi invitation to regional New Years’ party, from Teachers’ Day parties to Christmas party invitations, from corporate business parties to seminar invitations- Indians are not lagging behind in any respect. Plus, invitations on a personal level include birthdays, anniversaries, baby showers, first rice taking ceremonies, Upanayana ceremonies and many others and all of them demand for a neatly designed, unique looking invitation cards. Like any other business, the invitation card printing business is also vulnerable to some weaknesses. For instance, you had once started the business out of your zeal and creativity and you expanded and flourished and hired artists who are just as creative as you are. But all of a sudden you realize that they got some better prospects and willing to bid adieu to your concern. The immense loss your business is going to suffer in the coming time can’t be expressed in words. Sure, you will hire someone new and this is how the whole world moves! But when it comes to something creative you are heavily dependent on the person who had helped your business evolve to reach success. Plus, contrary to any other business where people come with a demand in mind, select their choicest stuff and purchase it, invitation card print business is entirely different. Here clients would come with certain preconceived notions in mind and they will brainstorm your outlet and may finally leave without getting what they actually demanded. In some cases, it may so happen that they place an order for a particular piece and then they change their mind all of a sudden just because some other card design from some other store appealed to them. As an invitation card printing business owner, you will have to deal with all these things and you will not even be able to show it on anyone’s face. There are plenty of opportunities for the invitation card business. If you don’t have the huge amount of capital required right at the start, you can operate from home and work with a professional who outsources the printing. Alternately, you can start a business that combines both designing and printing and slowly develop into a full-on business. If you don’t have a strong hold in the market prior to opening your business, your profit margins would run low for about first two years, after which you can see considerable increase in profits and you can save money to hire professional artists and once they start working for you and help you reach your target goals, you should see to the fact that they stay back and work towards flourishing your business. Remember that your team is the most important resource and a manifestation of your creative identity and you should take care of all aspects to help it thrive and reap massive profits in the years to come.